With our daughters away at camp this week, my husband and I are getting some good one-on-one time together. 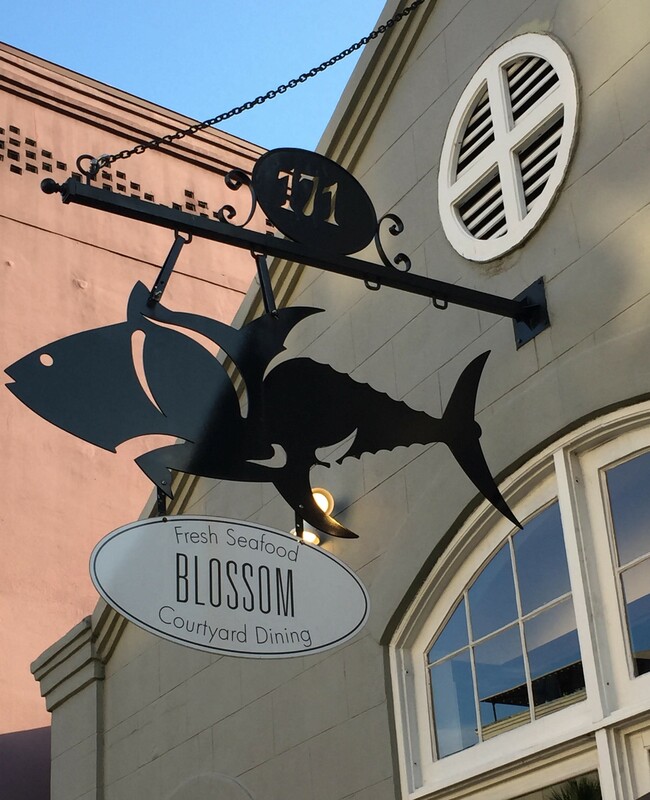 We went on a date Monday night, and used a gift card we had to eat at Blossom Cafe. The food was delicious! We’ll be celebrating our 26th anniversary next month. I’ve been thinking lately about how easy it is to become complacent in our marriages. Since I always want to be challenging myself to grow in that relationship, I started reading Gary Thomas’ book Cherish. I’m about halfway through, and have enjoyed learning ways to show my husband that I cherish him. I also came across this quote (which I’ve shared before, but wanted to revisit) this week. How often, especially in my marriage relationship, do I feel the need to do one of those two things? Sadly, it is often over small, insignificant matters. Let’s look at the first peace-killer as it applies to marriage. I hope I’ve learned over the course of the years that being right is less important than maintaining a loving spirit in the relationship. Even if I think (or know) that I’m right about something, does it really matter? Do I need to dogmatically defend myself just to prove that the story I shared was accurate? Do I need to show him the e-mail I saved so he can see with his own eyes that he put the wrong date on his calendar? There may be certain situations where demonstrating my “rightness” is important, but even then, I can approach him with humility. What about the second peace-killer, the need to assess blame? Let’s say you’re on vacation and your husband made a hotel reservation. The family shows up to check-in, only to realize the reservation is for the wrong date. (No, I promise this did not happen to us while we were on vacation recently! It’s a made-up example that I have totally worried about happening to me when I’ve been in charge of the trip details!) Is there any point in getting all over for him for this mistake? Does it change anything? And finally, how many times have I messed something up, and been grateful when someone graciously overlooked my error? All of this leads me to what I believe helps us keep the peace in our homes, not kill it. 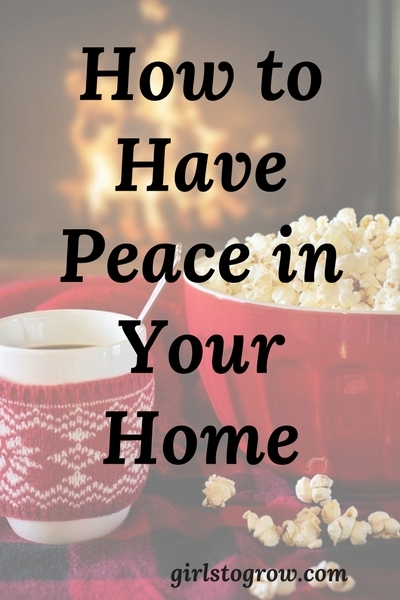 If I want to have peace in my home, I should show grace to my husband and our girls. When we get lost following directions they’ve given or an argument arises over what day we last had spaghetti for supper, there’s no need for me to find fault or set myself up as the one who knows it all. Just as I often need their grace extended to me when I mess up, so I must be willing to do the same for them. After all, isn’t that what God offers to us so freely? Rather than insisting that I’m right or making sure someone takes the blame for their blunder, I can offer grace. That will be a big step toward filling our home with a spirit of love and peace. You’re not alone; I tend to do those two things, too, with my husband: prove I’m right or assign blame. 🙁 I’m learning to let things go when I KNOW I’m right. 😉 Although I may not be as gracious about it as I should be — I’m still learning. And the thing is, usually I kill the peace in our home over something trivial, something that won’t matter in an hour much less in twenty years. Oh, I have a lot to learn! And then there’s my children…. I’m going to start using that phrase, “You may be right,” because one of my children likes to think he (or she) is always right, and I’m tired of the arguments, again, over something insignificant. Thanks for the suggestion! So much good food for thought! Thank you for sharing this! “You could be right,” – totally using this!!! !